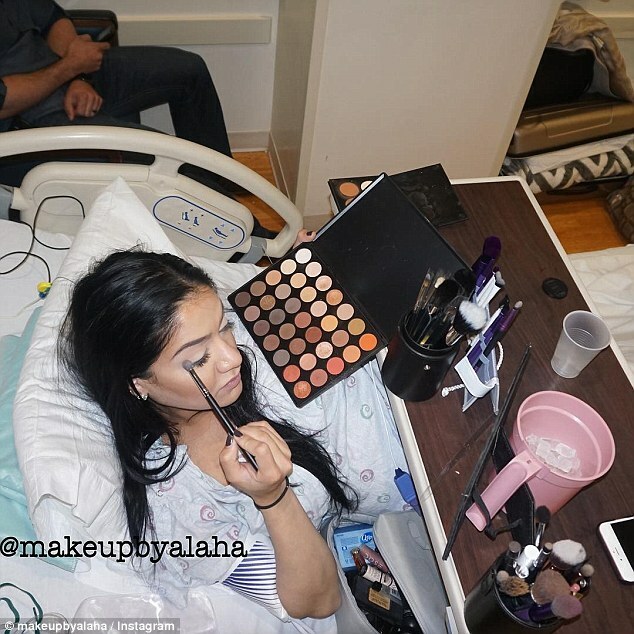 Three weeks ago at this time I was finishing up my make-up and getting ready for my princess to make her appearance. 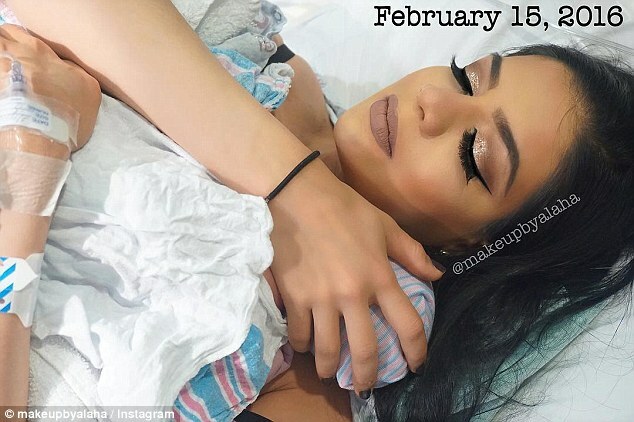 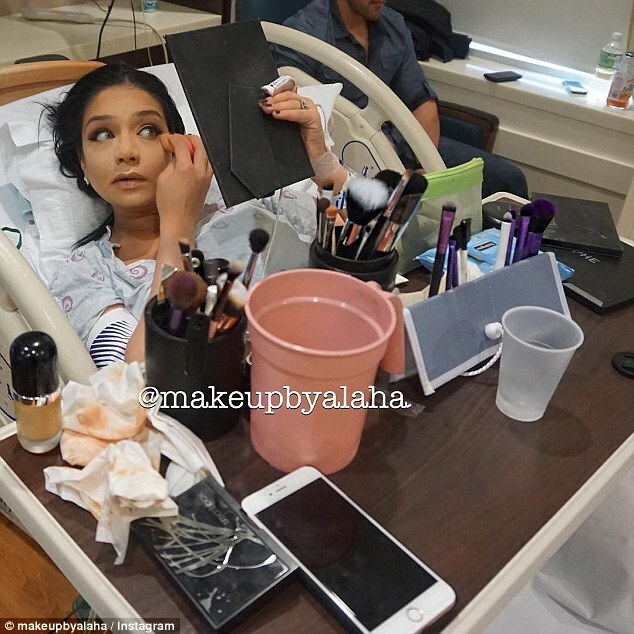 Yes, I was doing my make-up while I was in labor!' 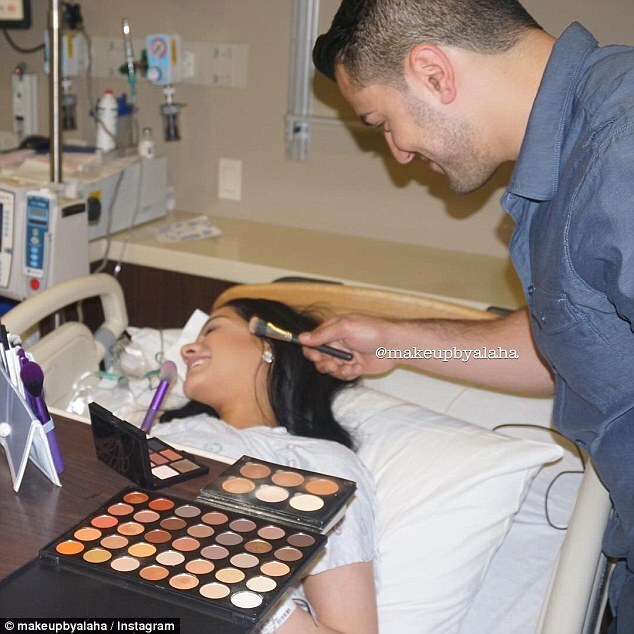 the 27-year-old captioned a photo of herself using a 35-shade eye shadow palette to do her eye make-up while lying in her hospital bed.